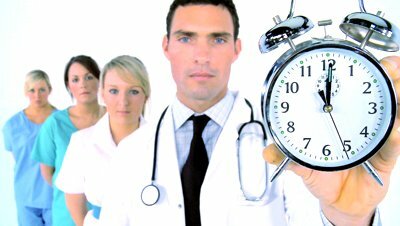 It may seem like the only thing that changed January 1st was a tick of a clock…and it’s pretty understandable in healthcare, since we’ve all been on the same trajectory for several years now—declining reimbursement and strategies to reduce overhead, enhance contracting rates and develop new income streams. What’s that mean? New medical practice development, existing practices reconsidering overhead and profits allocation as partners retire, ancillary revenue streams (e.g. pharmacies) and the enhanced emergence of niche providers (especially in the drug and alcohol treatment space). Physicians continue to jockey for the best platform to practice. Those that choose hospitals generally follow this roughly two to three year trend: relief-revulsion. Physicians looking for larger practice platforms still like large “super LLC” type platforms and find that the real secret sauce is not size itself, but rather in administration. Physicians considering revenue enhancement try to outlast price compression and exclusive contracting arrangements with managed care organizations for clinical lab, PT and pharmacy services. At the end of the day, the trend with payers is to remove incentives for physicians to provide any ancillary services at all. And, to the issue of “practice platform,” bigger not only tends to be better in terms of price compression, but also in terms of “add on” services with managed care contracting. Regardless, physician partner recruitment seems to be flat, and the issues have shifted to reconsidering overhead and ancillary allocation as “older” physicians wind down or wind out. As practice profits are squeezed, practices cannot afford to miss these details anymore. Growth of drug and alcohol treatment centers has exploded in the past year or two, and they are increasingly expanding into areas typically reserved for physician offices. From a clinical perspective, they find that concentrating purely on the psychotherapeutic aspect of treatment, they miss certain more physician based issues that can be tied to addiction (e.g. cardiac disease and diabetes). The net effect is that more and more treatment centers are moving into areas more traditionally reserved for “purely medical settings” which require complex lab licensure or health care clinic licensure. On a more macro level, the entire drug and alcohol treatment industry is experiencing growing pains as they shift into providing more medical services, which require analysis and documentation that physicians are familiar with, but which facilities may not understand. With help, we can expect facilities to move into more of a “medical model,” which should help them get paid for the services they provide and keep that income safe from payer recoupment. So what are providers to do in 2015? Same as last year! Look for ways to reduce overhead, enhance revenue through strategic relationships and more firmly establish themselves in any niche that makes sense. In any area where broad based services are the norm, carving out a defined specialty focus can go a long way to garnering a solid patient base. Beyond that, the one true thing that providers of all kinds can do is market directly to patients. Transparency brought by the internet has caused serious penetration into provider to provider marketing, which creates terrific opportunity for marketing to consumers.